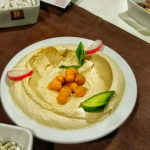 It was the first time I hear about Kanater Annaya restaurant when my friend The Coach Chicho told me that I am invited alongside a group of foodies to try their exceptional wide variety of Lebanese oriental cuisine. 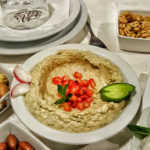 As its name implies, this cozy restaurant is located in Annaya , one of the outstanding villages in Byblos, about 52Km away from the capital Beirut. As we arrived to the place, the waiters and the owner greeted us in a kind way and guided us to the already reserved table in a comforting area next to the windows away from the crowded entrance and the bathroom stairs. The lighting was perfect to take photos but unfortunately, we weren’t able to enjoy the view as it was 9pm; however, we were able to feel that snappy night cold and inhale the Lebanese genuine mountain fresh air. 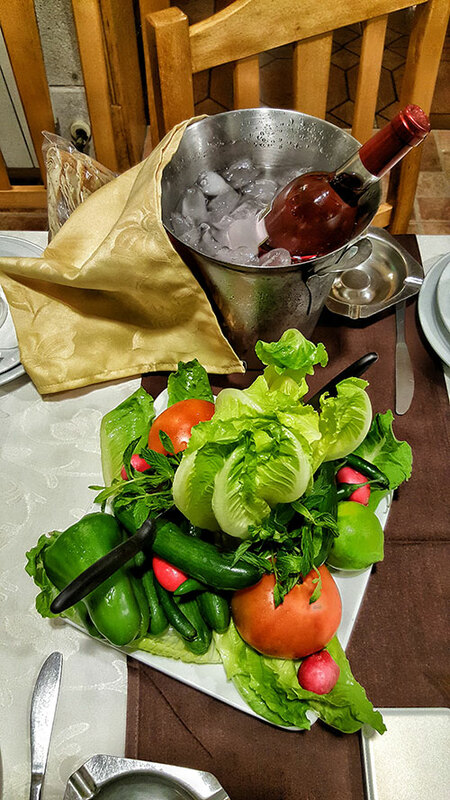 The prearranged set menu was present on the table and on the side there were several cups of mixed nuts to go along a big bottle of fine Rosé wine, a big bowl of fresh seasonal vegetables and a dish of tempting pickles, olives, and makdous (small eggplants stuffed with chilli and walnut). 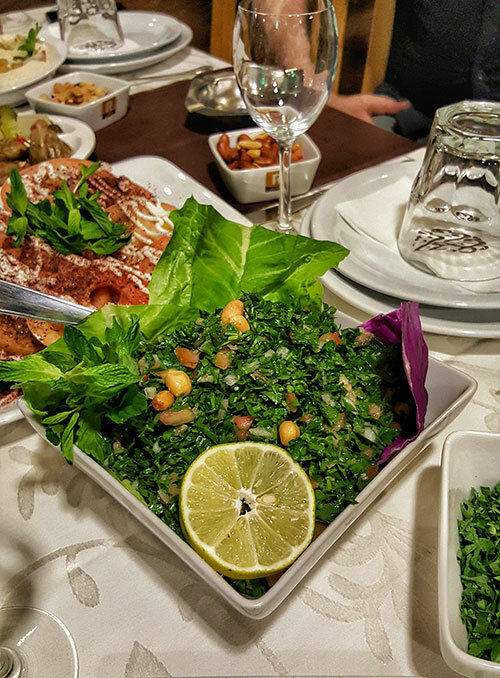 The menu included the cold Lebanese appetizers (cold mezza), the hot Lebanese appetizers (hot mezza), the main course, and the desserts. 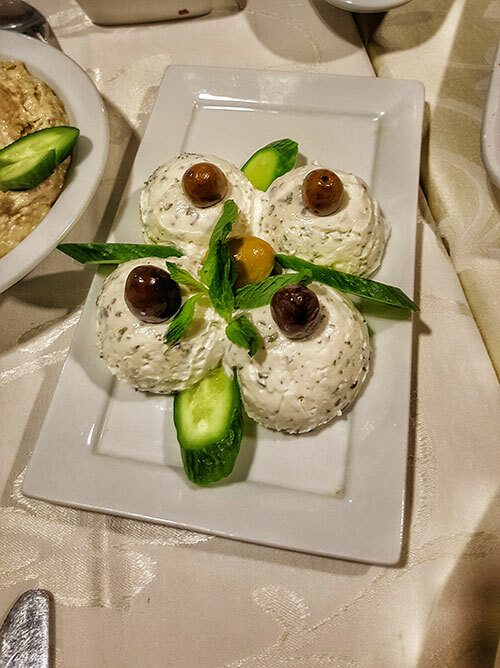 -And a great selection of homemade authentic Lebanese desserts. We were really excited to taste all the dishes as we were told that the restaurant’s management had several recent modifications to make the food’s quality and taste up to the customers’ expectations. Few minutes later the waiters started serving the cold Mezza. 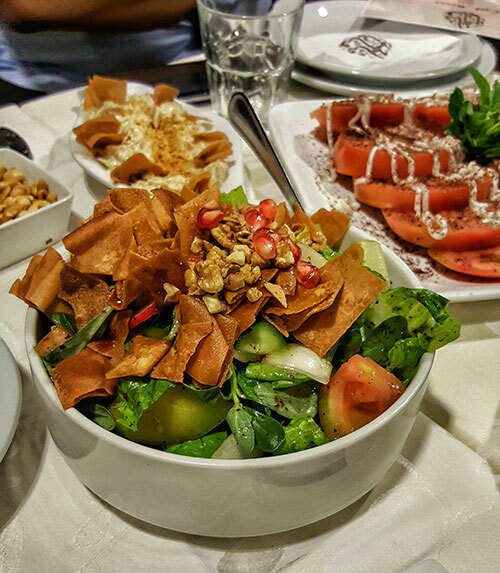 The Fattouch was perfectly presented with chopped walnuts , fried crispy bread, and pomegranate seeds on top. The light sour flavor of the pomegranate dark sauce made it even taste better. The vegetables were evenly chopped. I liked the flavor of every single vegetable in it especially the crunchy onion slices. 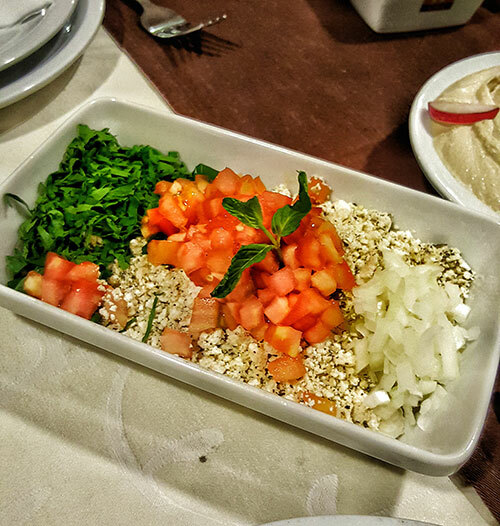 The Tabbouleh looked nice and tempting specially that is was topped with peanuts; however, it tasted less than average, it was a bit dry as it lacked tomato cubes. 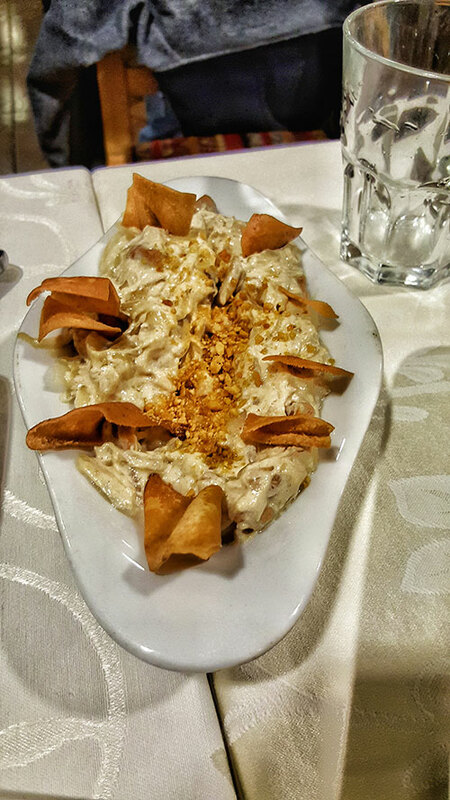 The Houmos and Moutabbal were accurately made, with a great creamy texture, and a modest sour taste. 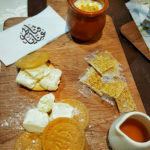 The Labneh with garlic was stunning and actually it was one of my favorite plates among the cold mezza. It had just the right amount of garlic, mint, and salt. It’s a must try dish. The Tomato with Summac and Garlic sauce was very yummy and moist. Though a simple dish, the great combination made it very delicious. The Summac fit perfectly with the tomatoes taste. 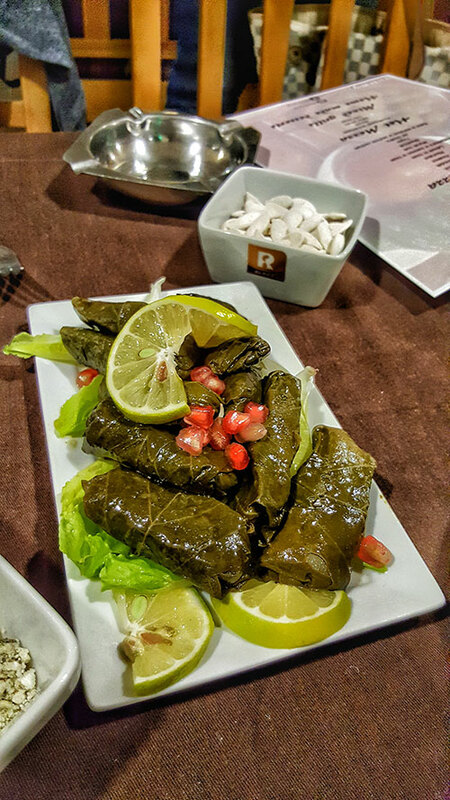 The Stuffed Vine Leaves plate was good but not perfect, as it was a bit soft and overcooked. I would have preferred if they were a bit more firm. The Shanklish dish was presented in a cool way: chopped Shanklish, topped with finely chopped tomatoes, onions, and parsley. I liked this plate a lot, although it lacked the strong taste that we’re used to in shanklish. The Kawarma with Lahme was one of the dishes that most of us ignored. Nothing was so special about it, neither in its presentation nor its taste. Most of the hot appetizers were absolutely mouth watering, and rich of flavors that my taste buds can’t forget till now. The Mixed Pastry dish was well done. 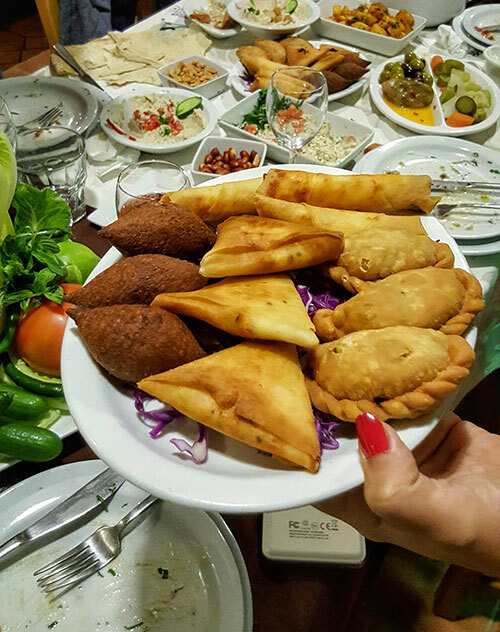 It contained sambusak, cheese fatayer, cheese rolls and kebbe. 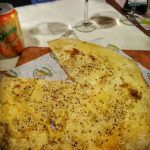 The crust of the pastry was crispy and fresh but the cheese inside the rolls was a bit salty. 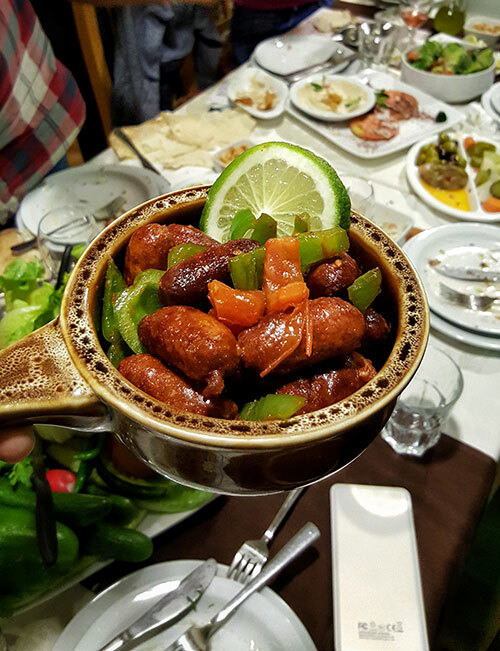 The kebbeh was hot and crispy and contained the right amount of meat and pines . The Soujok was simply wonderful. The combination of its tomato and green bell pepper marinate along with the exact amount of the Soujok spices made this juicy and tender dish a die for. 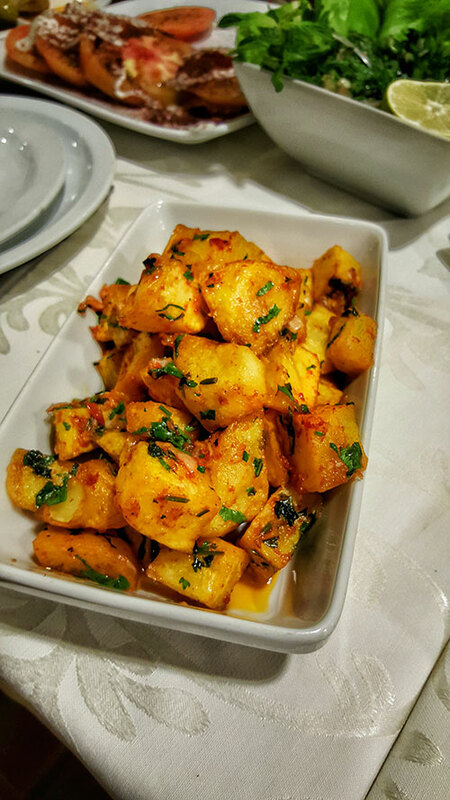 The Spicy potato was good, but I’ve tasted much better ones. Only the potatoes on top of the bowl were crunchy while the ones in the bottom were a bit soggy which gave it an unpleasant taste. 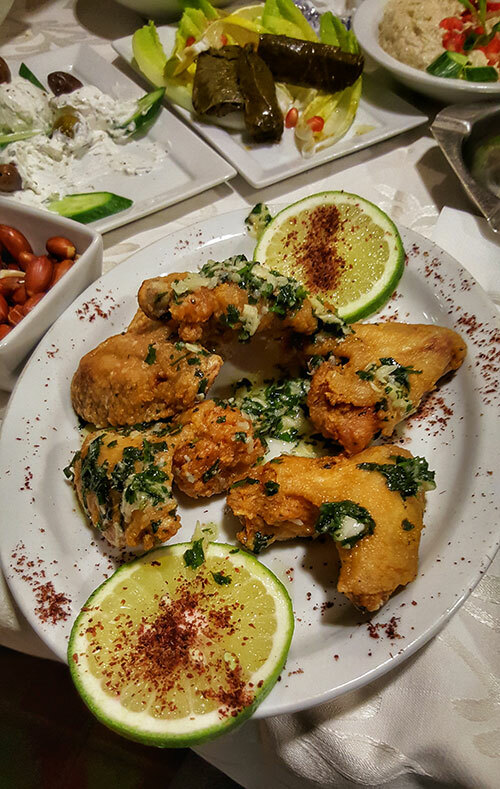 The Marinated Chicken Wings was a marvelous mouth watering dish. 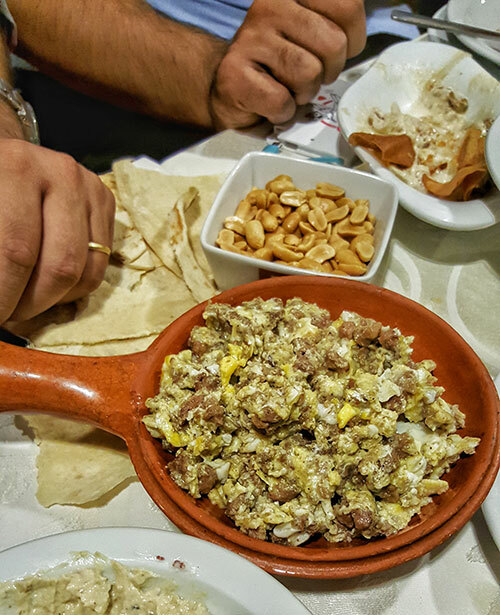 I think this plate should be one of the restaurant specialties as it was made in a unique exceptional way that most Lebanese restaurants lack. I loved the idea that the wings were broasted before being marinated with garlic and coriander. The wings looked brown and very crunchy and full of flavor ,but they were a bit greasy. 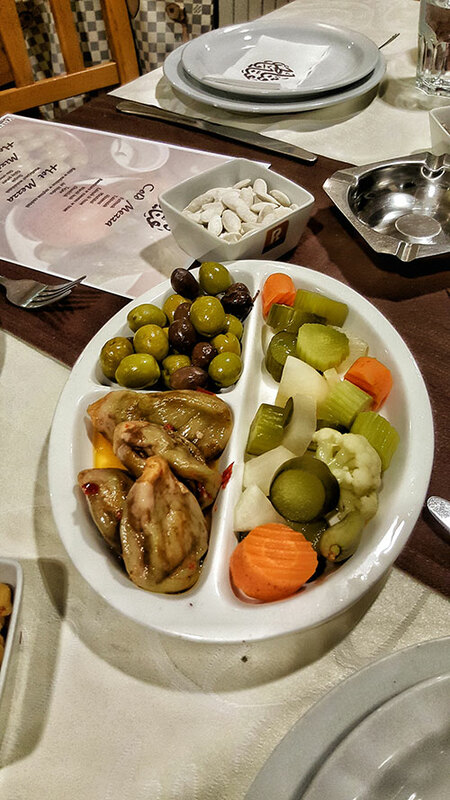 The Mixed Grills Dish was served in a very generous and appealing way. 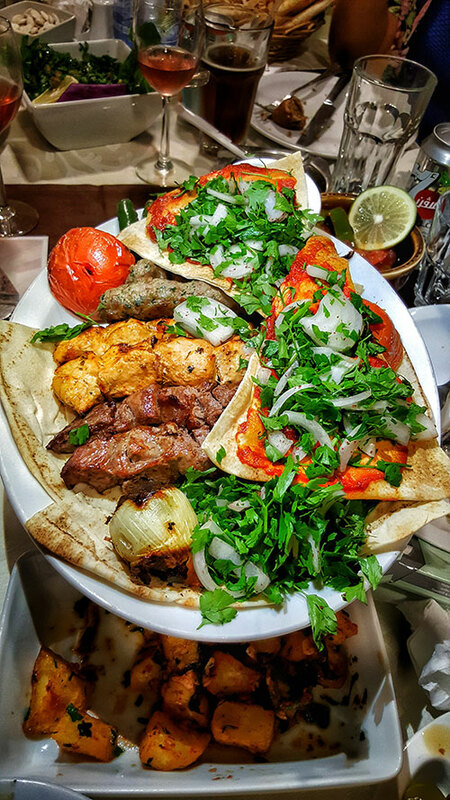 It consisted of grilled meat cubes, grilled kafta, and grilled shish taouk accompanied by grilled whole onions and tomatoes, all covered with spicy breads and chopped onions. The meat cubes were soft, well cooked and had the perfect amount of spices. The kafta was tender and juicy with noticeable parsley and onion flavors. The shish taouk was marinated in a different way, they used turmeric yellow powder with yoghurt. 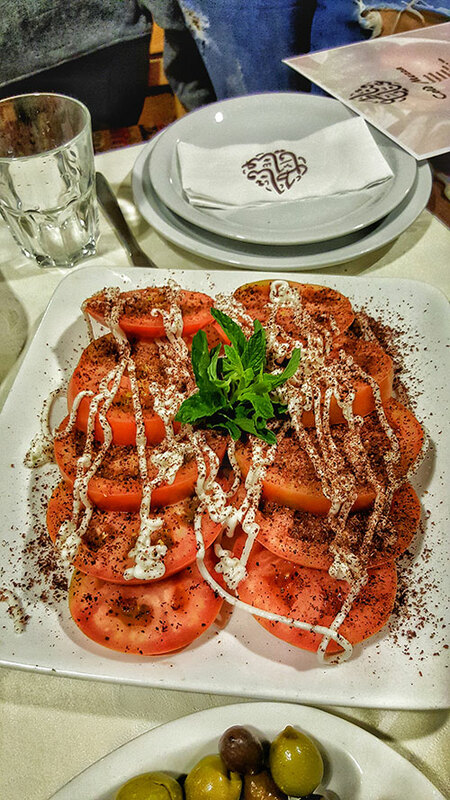 This gave the shish taouk a lovable unusual taste. 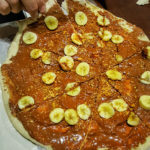 The Nutella and Banana Saj was very delicious and sweet. The Sugar and Sesame Saj was just fine and simple as it should be. 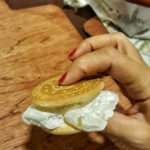 The Loukoum and Biscuit brought back many happy childhood memories. The cold Kashtaleye cups were very inviting and tasty specially that they were served with a small jar of natural yellow honey to top the kashtaleye with. The overall experience of the restaurant was satisfying. The service was fine; however the waiters were not very friendly. The owner generously visited our table several times to make sure everything is going well. 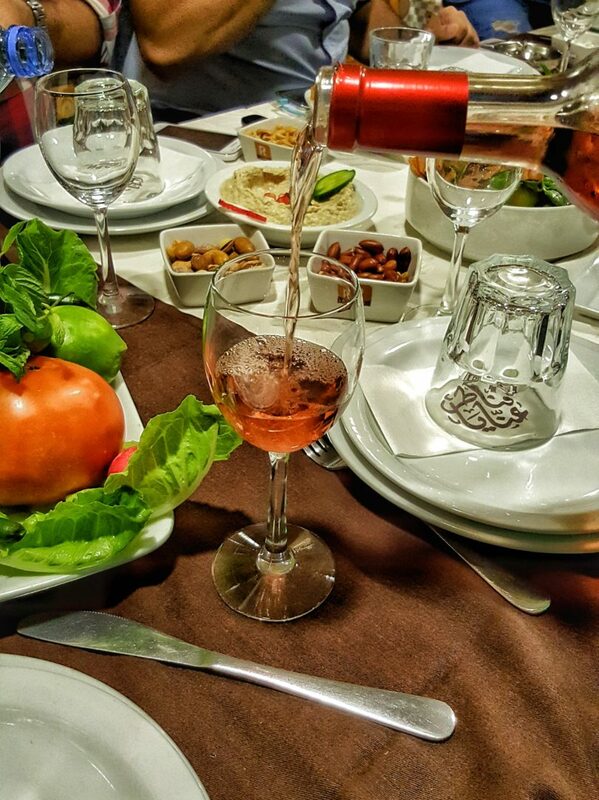 I definitely recommend this place for those who are looking for a pleasant Lebanese cuisine Restaurant to visit in or around Jbeil region.